Last week I asked: Where is the longest covered bridge in America? There is something about covered bridges that makes people stop to take a picture. There have been movies, books, and puzzles that featured covered bridges. They have been around for a long time. One of the most famous is the Rialto Bridge in Venice built in 1591. Basically bridges were covered to protect the wooden structure. 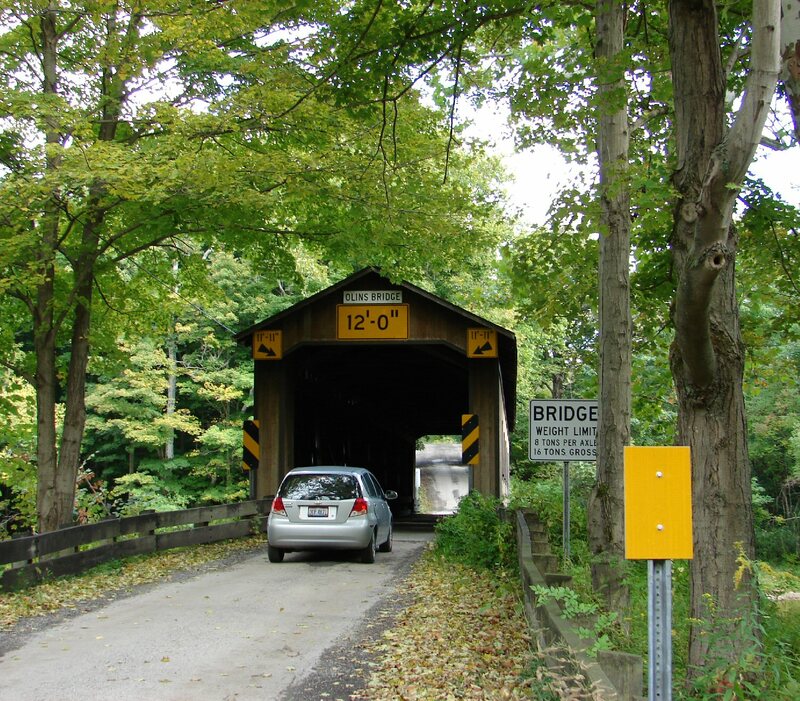 Uncovered wooden bridges had a life span of less than 20 years but not all covered bridges are/were wooden. Some just protect the structure while other also serve as a shopping arcade and few even have homes on them. I like the term “kissing bridge” that came from the days when sleighs would cross the bridge and a bold boyfriend would steal a kiss in the dark. 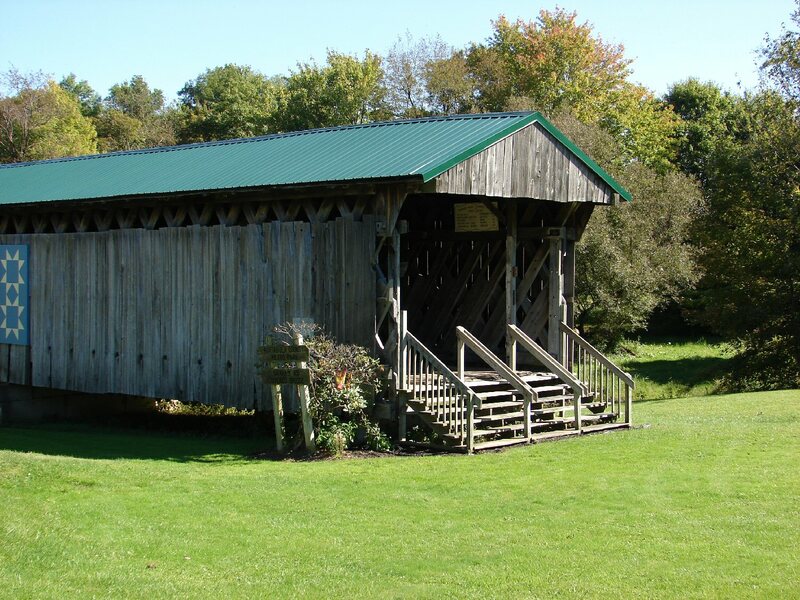 Ohio’s Ashtabula County has a slew of covered bridges. On the way to the Lodge at Geneva-on-the-Lake John and I visited some. After we checked into the lovely lodge we discovered that the hotel offers a tour of some of the covered bridges. We had to make do with our driving tour map of the county’s covered bridges but it worked out just fine. America’s Longest Covered Bridge is the Smolen-Gulf Bridge. Not all covered bridges are old. The 613-foot long bridge 93 feet above the Ashtabula River on County Route 25 was dedicated in 2008. It has a life expectancy of 100 years. There is a great view of the bridge and countryside on the hill above the bridge plus storyboards. Near the the lodge in the town of Geneva is the shortest bridge in the United States, The Liberty Street Bridge. It only has a span of 18 feet and is a one-of-a-kind design supported by a single king post and was built in 2010. 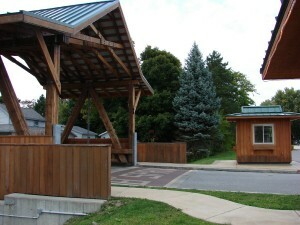 There is also a typical toll-keeper’s booth next to it. Several of the bridges are more than 100 years old with some built in late 1800s. The Olin Bridge is the only one named for a family. The Olin’s have owned the property next to the bridge since it was built in 1873 and family members were instrumental in preserving the one-lane bridge which is in a bucolic setting. 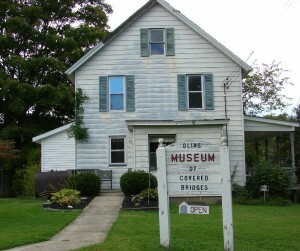 Near the bridge is the Olin Covered Bridge Museum which has a plethora of memorabilia associated with covered bridges. There is a special room devoted to Coca Cola items that feature covered bridges, children can make a paper model of a bridge, and there is a gift shop plus information on covered bridges. In the unique category we stopped at the Graham Road Bridge which is on dry land in a small park. It was built from remnants of a bridge that washed downstream in the 1913 flood. While at The Lodge at Geneva-on-the-Lake, I took their wine bus tour and it stopped at the Liberty Street Bridge and the Harpersfield Bridge which has a walkway. 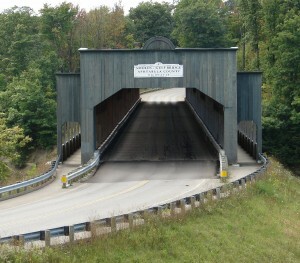 As we were leaving the area we got one last look at a covered bridge from the main highway. The people of Ashtabula County understand the importance promoting what they have to offer for tourists. 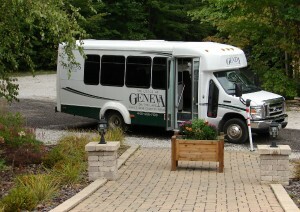 Many come for the wineries, Lake Erie ambiance, and covered bridges. To that point they have repaired, maintained and built new covered bridges upholding the concept of build it and they will come. The wine bus tour offers great views. Each year in October they have the Ashtabula County Covered Bridge Festival. Trivia Tease™: How do you prepare hot pot?